Shea butter acne treatment is an excellent natural way to rid your face of acne, as shea butter is known for their healing properties and non allergic qualities. One recommended treatment is to use shea butter which is enriched with lemongrass and lavender essential oils. Other essential oils can also be used, but these two are believed to be best in treating acne. You need 2 oz of unrefined shea butter, 15 drops of lavender essential oil, 10 drops of lemongrass essential oil, and a jar to put all these in. Recommended working temperature would be room temperature. Just mash all of them with fork and add in those essential oils. You can also use hand mixer to mix it for a few minutes, and your acne treatment cream is done. Some list of essential oils which you may use are: Basil, Bergamot, Birch, Cajuput, Camphor, Caraway, Cedarwood, Chamomile, Garlic, Grapefruit, Immortelle, Juniper, Lavender, Lemongrass, Myrtle, Niaouli, Patchouli, Petitgrain, Sandalwood, Tea Tree, Vetivert. 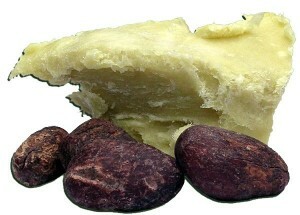 You can also opt to use raw shea butter in treating acne. 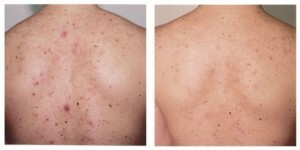 The best way to treat acne on yor face with these treatments is to combine it with a medicated cleanser. Wash your face with this cleanser to get rid of any clogged pores first, which will then allow the raw butter or the treatment cream to really get into your skin pores for deeper treatment. After your face is clean and dried with a clean towel, apply some shea butter with a clean sponge. Try not to use your fingers to avoid bacteria being spread on your skin. You should leave your face with the butter on it for about 8 hours, so it is recommended to perform this treatment overnight. Wash them off with the cleanser the next morning. You should repeat this facial treatment about two or three times per week to get the best results. It is important to note that the type of cleanser used to wash your face before the treatment plays an improtant role in treating the condition. For the shea butter treatment to be effective, the cleanser needs to remove all trapped bacteria and excess oil in your skin. Younger acne sufferers commonly have oily skin, and they are usually recommended by skin care experts to use clanser which has salicylic acid content. Adult acne sufferers are usually recommended to use a different type of cleanser which has a lower concentration of anti-acne medication as their skin is on the dry side. But this is where the shea butter benefits comes in as shea butter acne treatment focuses on moisturizing the skin.